Elvis Presley, Shirley Bassey and Buddy Holly all feature on this fantastic collection of classic love songs by Intempo. 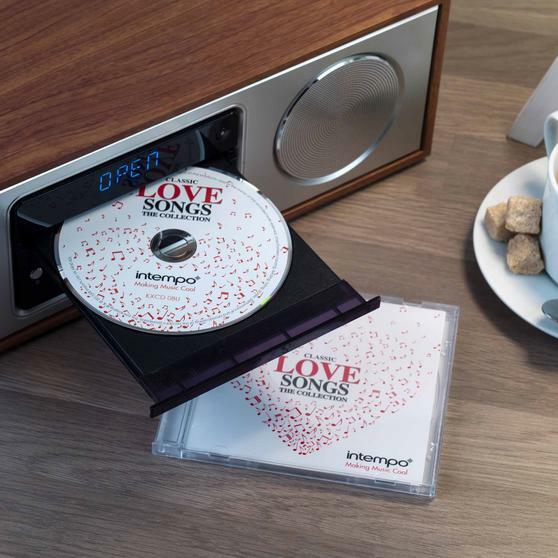 With 16 beautiful love songs, the CD is an ideal gift or for romantic evenings at home. 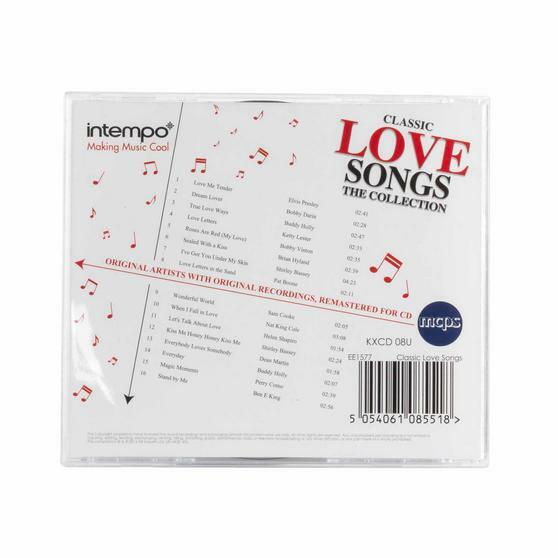 With songs such as Love Me Tender, Stand By Me and When I Fall In Love you can relax and sing along to the classics. 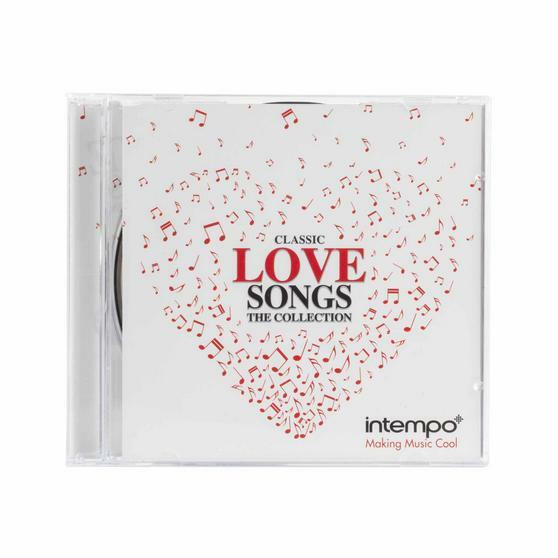 Whether this CD is for home, your car or as a gift you will not be disappointed by this collection of wonderful and timeless love songs. 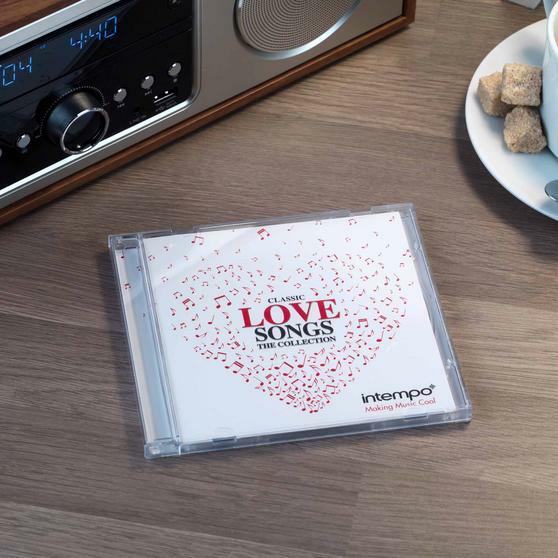 Fall in love with this wonderfully romantic collection of songs by Intempo, perfect for turning up loud and singing along. The tracks have been remastered for CD with outstanding sound quality so you can enjoy listening to the legends of music anywhere. 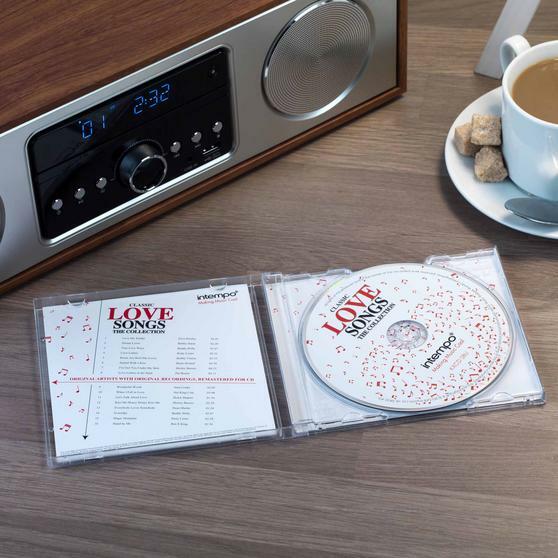 The CD features the famous hits Love Me Tender by Elvis Presley, True Love Ways by Buddy Holly and much much more. 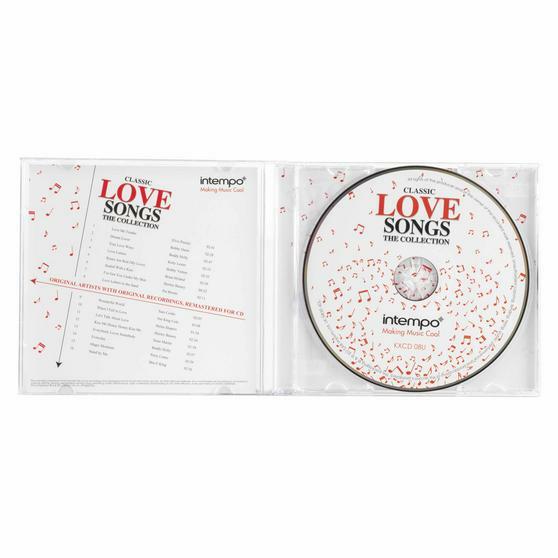 With 16 timeless tracks, it will make a wonderful gift for anyone who enjoys listening and singing along to classic music. 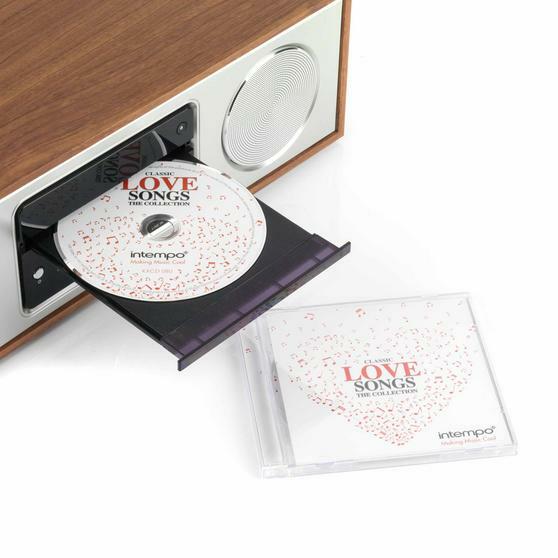 The CD comes in a case which will protect it from scratches and displays all the track numbers so you can skip to your favourite.